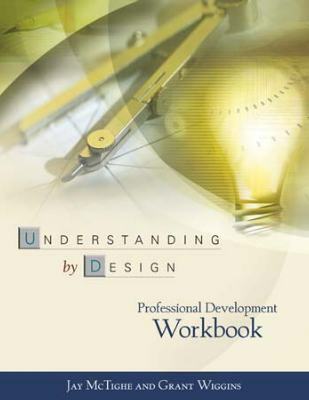 Understanding by Design Professional Development Workbook extends the ideas presented in Understanding by Design (UbD) by focusing on professional development and the practical matters of curriculum design. The Workbook is a guide for Understanding by Design workshops and undergraduate and graduate-level courses, as well as further independent exploration. It provides a valuable resource to educators in developing curricula and assessments with a focus on developing and deepening students’ understanding of important ideas. Design Templates—planning organizers based on the three stages of backward design for use in developing a unit or course. One-, two-, and six-page versions of the UbD templates are provided. Design Standards—criteria for reviewing curricular designs as a means of continuous improvement. The UbD standards guide self-assessment and peer reviews, whereby colleagues provide feedback and guidance on each other’s designs. Exercises and Process Tools—thought-provoking workshop activities for developing and deepening participants’ understanding of the key ideas of UbD. A set of review and reflection tools is included. Design Tools—a variety of graphic organizers and worksheets are included to assist designers in each stage of backward design. Samples—multiple examples from diverse subject areas and levels illustrate the various elements of understanding-based designs. Preservice and inservice teachers, college professors, school-based administrators, curriculum directors, subject-matter specialists, staff developers, and personnel involved in assessment and evaluation can benefit from these practical and proven ideas and resources.